hd00:12DUBAI, UAE - November 20, 2017: Swiss high-end watchmaker brand F.P. Journe exhibiting latest model at Dubai Watch Week at Dubai International Financial Centre in Dubai. 4k00:09TORONTO, CANADA - JULY 1, 2015. Extreme Close Up of 18ct Gold, Rolex Oyster Perpetual Date. 4K UHD. hd00:29Old silver pocket watch. 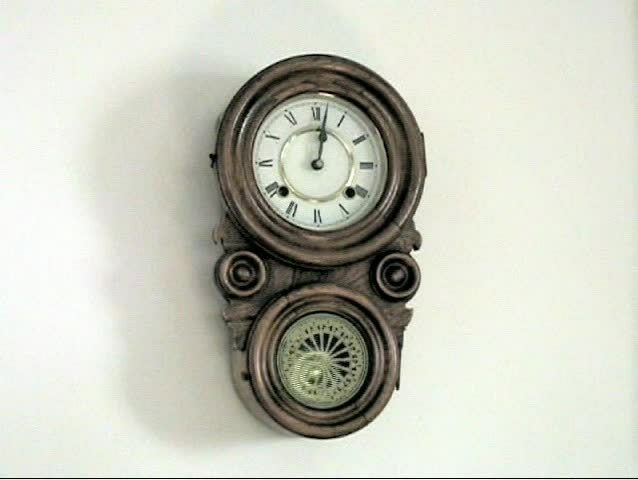 Vintage clock ticks off seconds marked by ornate hands roman numerals.